I got up with Eva on Monday and rather than watching something while we ate breakfast we played Star Stable instead. Again it was a super unproductive day. My anxiety has been a little crappy lately so I've been avoiding a lot of things. Eva and I are hoping to make some plans to give me more to write about but right now I just feel making plans is a little overwhelming. I will overcome it though and then I'll have lots of fabulous things to talk about I'm sure. 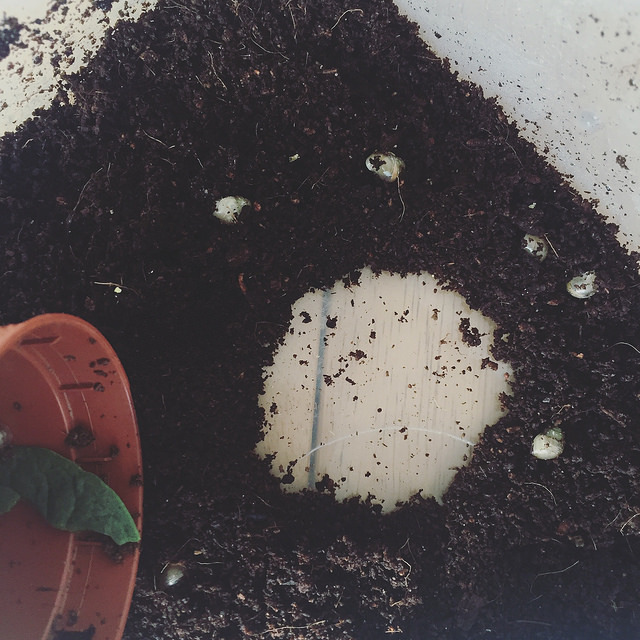 Later on in the day I did a little bit of blog work and then tidied the baby snail tank. I started using my microwavable heat beanie to give them more warmth. Giant African Land Snails are supposed to have heat 24/7 but because the tank they are in is so small and would dry out super fast, I don't feel comfortable using an electric heat mat yet. So I'm giving them warmth via the heat pad as much as possible while I can monitor things. Eva had a doctor's appointment on Monday and I ended up getting into an argument with my mum about how the doctor handled things. That basically put me in an awful mood a lot of the day as my mum said quite hurtful things. Thankfully I had Star Stable and The Girl Gang chat to cheer me up. My perspective was also firmly put back in place when mine and Eva's Chihuahuas escaped. We were playing Star Stable and had let them out to the toilet when Eva noticed she hadn't heard them barking in a little while. Someone had left the gate open and when Eva went out they and my Labrador - Baby - were sniffing around on our driveway. The reason I mentioned the Chihuahuas and not Baby is because Baby has outdoor smarts, our boys do not. Not to mention we live beside a main road. When Eva went to get them Edwin thought it was a game and legged it towards the road, thankfully he didn't make it and Eva got them all in safe. It was probably only about three minutes but waiting for Eva to come back with Edwin, Berty and Baby felt like a lifetime. After that my bad mood was taken over with a flood of relief. Another pet fiasco was had when I was showering mine and Eva's snails. She was sorting out the tanks so I was doing both hers and mine, so they were all mixed in the clean out tank. I went to lift one of Eva's snails and two of them were mating! Who knew snails could get it on so fast? I also found it interesting that it was two of Eva's snails even though mine where mixed in too. Perhaps they're baes. After I sorted the snails I played Star Stable a little while longer before heading to bed. Tuesday was another pretty unremarkable day. I played Star Stable most of the day. I know... I'm fully addicted. I was somewhat productive later in the day. I worked on My Week In Words and eventually got it scheduled. It was quite an achievement considering the headache I had. Once I had it scheduled I relaxed the rest of the evening playing. 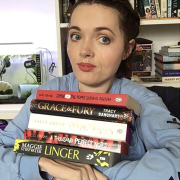 My Week In Words was posted on Wednesday and if you missed it you can check it out here. Again most of the day was spent on Star Stable. Unlike Tera you have to pay for the full game of Star Stable. You can play for free up to Level 5 and then to progress more you have to pay. You can pay for a subscription of one, three or six months or alternatively you can pay for a lifetime membership. Eva and I had paid for a one month subscription to see how we went but we really wanted to get a new horse which we needed Star Coins to buy. 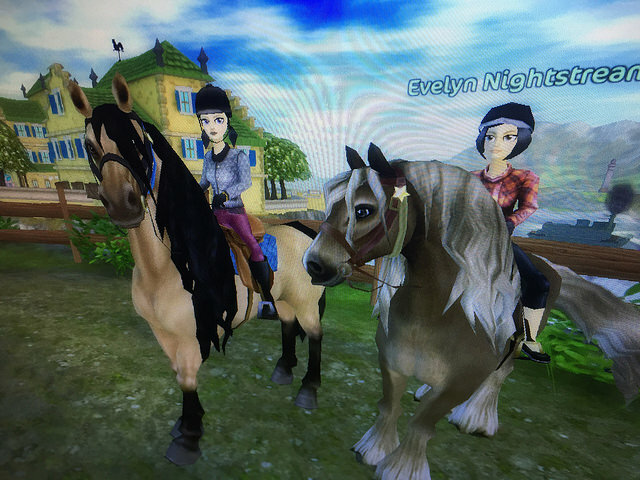 You get 100 Star Coins every Saturday when you have a subscription but Eva and I were too impatient to wait as most horses cost at least 700 SC. We decided it would be most cost effective to become lifetime members. We'd also get enough Star Coins with the lifetime package to buy a horse outright. Sounds like good reasoning, right...? It took us quite a while to decide what horse to go for as there are many to choose from. Eva ended up going for a North Swedish Horse and I got an Andulusian. They are so pretty! Mine is the taller one and Eva's is the shorter. It took me ages to name him as you basically pick two words to put together to make a name. I had settled on Fortunefeather and then realised I'd picked Fortunefather instead. A subtle difference but I was so annoyed at myself and disliked it so much I ended up using Star Coins to pay to change it. I was happy with what I came up with, Copperbullet. I liked that I was making a little bit of a theme with my starter horse being called Bulletrain. The rest of the evening was spent doing Star Stable quests and levelling up our horses. I mean I have to make the most of my new lifetime subscription, right? Mum was off work on Thursday so I didn't have to get up as early as I usually do on her work days if Eva is also working. I decided to resist the temptation to play Star Stable all day and instead I watched some episodes of Nashville. You only have a set amount of quests you can do in a day and on days when Eva is at work I don't play until she gets home so I don't finish my quests too early. It wasn't a completely unproductive day though. I edited together my first YouTube video for my new toy channel. I realised I say "Umm" a lot more than I realised and I tried to edit them out as much as I could. It's something I'm going to try to be more aware of in the future so I don't have to have a badly edited together video. I took a bit of a break later in the evening and took part in the Crazy Bloggers Twitter chat but cut out early to take part in a Star Stable race. Eventually I started working on the video again and got it uploaded on YouTube just before I headed to bed. At some point on Thursday I cleaned out the baby snail tank and confirmed Alice's passing. There was none of them left in their shell. I didn't know what to do with it so I've kept it in a little glass jar that I got with my marimo. On Friday my parents were accepted for an apartment, moving me one step closer to independent living. It's exciting and scary. Earlier in the week they had had a bit of a fiasco when another place they had applied for fell through. Basically they had all their information in for it to be vetted when they came back and said it was going to be an extra £100 than they initially said. It was already expensive at the original price so my parents had to pull out. I thought it was a little weird this development only happened after the landlord had seen my parent's finance details. It had really upset my mum as it had been weeks they'd been waiting for their details to be processed and it then felt like a big waste of time, so I was glad that another place they loved came up so soon. I did some YouTube work on Friday. I'd uploaded the video super late on Thursday and hadn't taken the time to make a custom thumbnail. I also had to edit some things on my channel before I promoted it. It's been a long time since I've made a YouTube thumbnail so I was pretty happy with it. 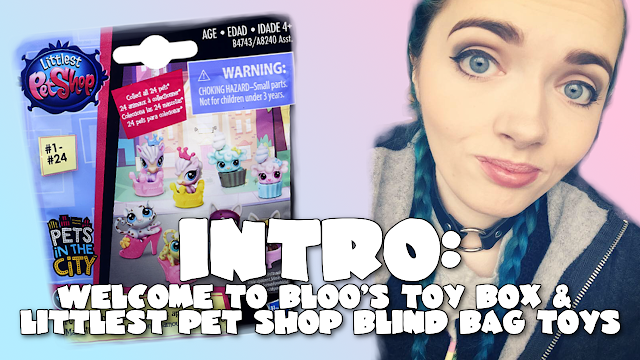 There is only one video up so far and the whole channel is still a work in process but bear with me! It will get better. 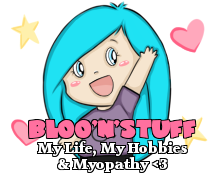 Once I had the channel how I want it right now I wrote a blog post on my toy blog to promote it. Danielle of Underland To Wonderland was offering free month long advertisement on her blog and she was kind enough to give me a spot for my toy blog. So I ended up putting together a little button for that too. So all in all Friday was pretty productive. 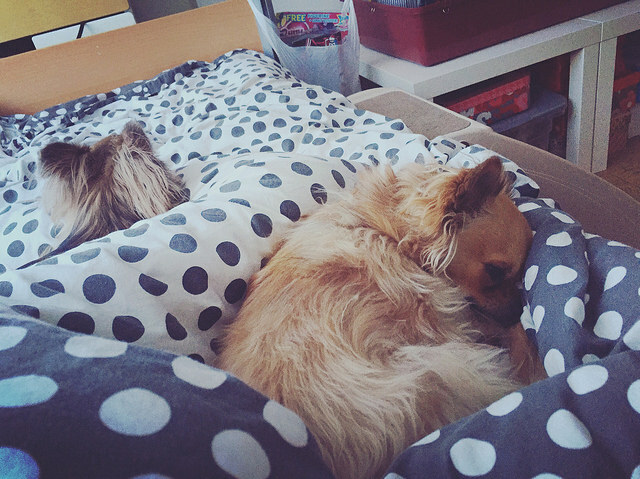 I woke up with my boys on Saturday. What a cosy way to wake up! Dad got me up for my fry up and then I procrastinated for a little while before getting to work on a blog post. It should have been scheduled for Saturday morning but I hadn't gotten it finished. Eventually I got the second instalment of my Cancelled Too Soon series posted. You can check it out here if you missed it. After that I really should have worked on my toy blog post for Sunday but I ended up mooching around online and then playing Star Stable online when Eva came in from work. Needless to say the day wasn't any more productive than that. And so concluded my week. Despite not being very interesting to read I actually had a great week. I mean I'm getting to live my horse riding fantasy through Star Stable. What a time to be alive!